PAXXA has introduced a new wheel design which gives an increased blast pattern and cleaning area. The casing is protected with wear resistant liners. Whole wheel assembly is designed in such a way that it is compact and easy for maintenance. The wheel operates on vibration free conditions making low noise level. Wheel is coupled directly with motor shaft. Another configuration is indirect coupling, in which the power is transfered to the wheel by several belts. Choosing the Power transmission method is according nominal power, Installation spacing & blasting velocity. The wheels that are normally used in the wheel machines contain a number of straight blades, which “throw” the media at high speed towards the parts to be treated. Abrasive enters the wheel from the center, passing the feed spout, the control cage and the impeller. The control cage is an important part of the system, as this part control the hot-spot. Wear on the control-cage means a deviation in the Peening pattern, and thus a decrease of intensity. 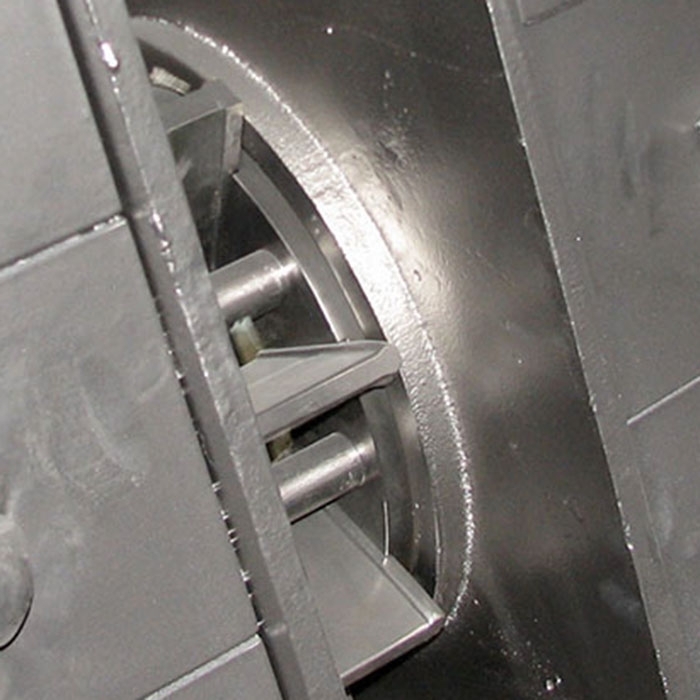 The impeller “distributes” the abrasive in equal amounts over the rotating blades. Blades are normally produced from a cast alloy and are subject to wear. For heavy duty application it is possible to use milled blades from high quality anti-abrasion steels. Wear on the blades also gives deviations to the parameters and thus a decrease of intensity. The machine body housing should be made from a steady construction, completely protected on the inside with wear resistant steel. Wheels have been designed in many different ways. Media enters the wheel in the center. 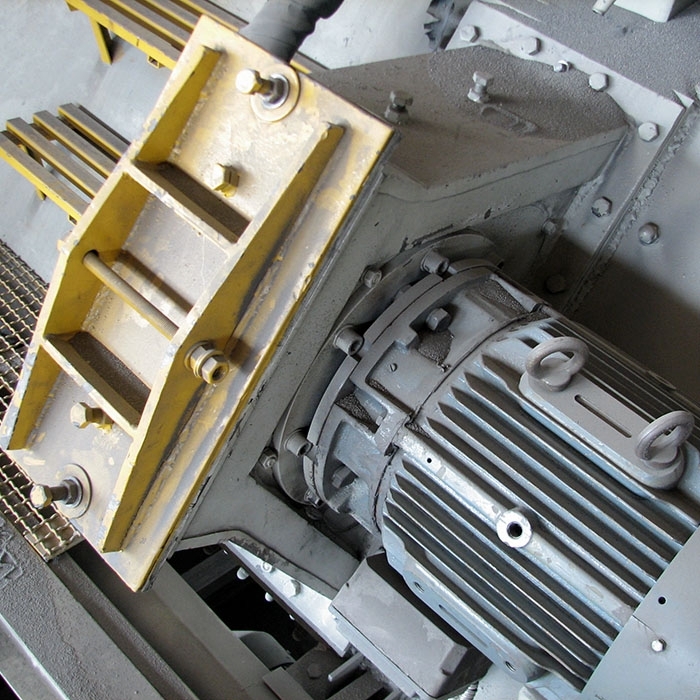 An impeller distributes the media in equal amounts into the control cage. Both impeller and control cage are critical components in a wheel; wear on these parts directly influencing the result on the parts to be blasted which will create wear on the wheel. The Opening in the control cage is the parameter for the hotspot to be achieved. A bigger opening in the control-cage means a longer hotspot. Also the distance from the outlet of the wheel to the surface to be blasted is a variable for the hotspot. 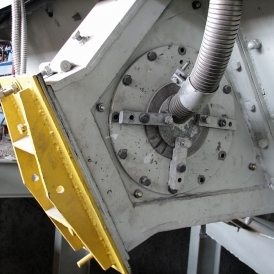 The media thrown by the blast wheels falls through the holes of the perforated plate floor into the media collection hopper under the blasting chamber.